Ken is known as a regular commentator for the local press and television. He is often invited to share his expertise and extensive knowledge on the local market for the Eastern Daily Press, Anglia Television and the BBC. Ken has also been chairman of the Norfolk branch of The National Association of Estate Agents, and is currently a committee member of the Norwich and District Association of Estate Agents. He is a founder board member of Wherry Housing Association and until recently has also been its Chairman. Currently he is chairman of Community Building Services Limited which is part of the major national social housing group Affinity Sutton. Ken has been an Estate Agent in Norfolk since the mid seventies. His first business was Balmforth and Partners Estate Agents and later in 1989 he opened Shipmans Independent Property Services. 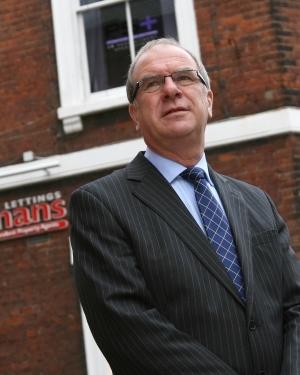 For 20 years Shipmans have specialised in property management, residential sales and lettings and business transfer. The continued success is based on the desire for excellent personal service, with many new clients coming from recommendations. I would say for me the driving force is “the customer” - I was introduced into a long running family business from a young age and my Father always emphasised the importance of the customer. It is therefore important to me to work for a company where people are treated as individuals and not just as a means to achieving a sales target. I have an extensive and varied background during which I have maintained this belief, including over 14 years in banking/mortgages which has given me valuable knowledge and experience which has proven to be beneficial as an Estate Agent. I was drawn to working for Shipmans as I had decided I would only work for an Independent Estate Agent, and not one of the major corporate Agencies where I believe frequently there is little or no genuine interest in the actual person. 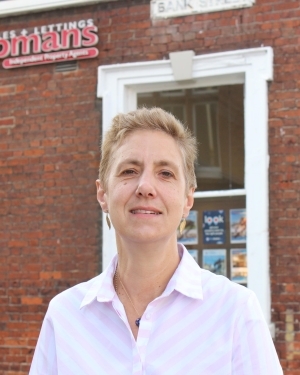 I have now been at Shipmans for over five years and have been able to continue this principle with emphasis on the customer whether it is a vendor, purchaser, landlord or prospective tenant. It is very rewarding when you are able to ”match” someone to a property, whether it is for a sale or a rental, giving them help, guidance and support wherever necessary to complete the process and you give them the keys to, what it is hoped will be their dream home.